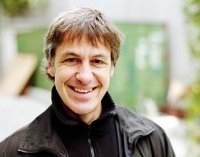 Niki Reiser is a talented Swiss composer who has written scores for films such as Liebesleben, Jenseits der Stille and Nirgendwo in Afrika. He mainly composes for German films and has received 4 German film awards (also known as Lola’s). His music to Im Winter ein Jahr, Die wilden Hühner und das Leben and Maria, ihm schmeckt's nicht! have been released on cd in the last 10 months. Maintitles.net had the opportunity to speak with Niki Reiser about his work as a composer. Reiser will also be part of the Festival jury a the Ghent Filmfestival. MT: Can you elaborate on your musical background? As a child I played the flute. I also was in bands and composed my own songs since I was 9 years old. So I became familiar with classical, but I was first influenced by the Beatles in the 60’s and the bands like Yes, Gentle Giant and Frank Zappa in the 70’s. In the 80’s I got interested in jazz and I studied at Berklee Colle of Music in Boston, where my major study was film scoring. Back in Switzerland I mainly played Jazz and was part of a klezmer band (Kol Simcha) that toured all around the world. So my background is Pop, ‘Classical music’ and Jazz. It was more a coincidence that I got into film scoring. I met an old friend (Dani Levy) at a party, where he saw me playing jazz and he asked me if I was interested in writing music to his first movie. MT: Can you tell me something about your working methods? I like to write the musical themes before seeing the images of the film (if time allows). This gives me a lot of freedom to express my feelings about the story and provides the editor, director and me with an opportunity to have original musical material to work with during the editing process. It is also a good way to avoid temp tracks. I listen to a lot of music, not necessarily in the style of the film I’m working on, just to feed my ears with music from all over the world. It’s like stirring up my musical head, before I become focused on my new project. After that, it’s like playing ping pong with my director, throwing ideas back and forth. MT: What kind of equipment and facilities do you use? I work with the Pro Tools system. It allows me to compose with midi and original recordings on the same platform. I’m not a specialist in computer or synthesizer sounds, that’s why I always end up recording live instruments for my soundtracks. I’m pretty old fashioned in that way, but for me it is important to have real musicians to work with, because they always add a new dimension to my music. Right next door to my studio is Daniel Dettwiler, who records and mixes my music and it is a great advantage that he gets to know my music In a very early stage. Technically and musically I always trust his opinion while I’m working on my music. MT: Your music from Die Die Wilden Hühner und das Leben was recently released on cd. What can you tell me about the music? I wrote the music for Die Wilden Hühner und das Leben after I finished my work on Im Winter Ein Jahr. 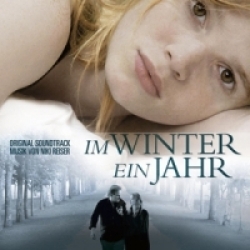 So it was kind of relief to work on a light hearted, “commercial” film after the emotionally difficult challenge of Im Winter Ein Jahr, wherein the music always holds back to describe the cold world of a “speechless” family. Die Wilden Hühner is about teenagers and their problems when growing up. So I decided to write a pop score in the style of acoustic folk rock. Emotionally I just oriented myself on the music that moved me when I was a teenager (The Beatles, Genesis, Jethro Tull and so on), combining it with the orchestra for the “cinematic” moments. Since I had to hold back with melodies in Im Winter Ein Jahr, the melodies for Die Wilden Hühner popped out very easily and it was great fun to produce it. MT: How would your describe your working relationship with director Dani Levy? Dani Levy is my best friend. We went to the same school in Basel and met some years later by coincidence at a party, where I was playing jazz. Dani asked me, if I was interested in writing the music to his first movie and so we started both a career in film as very beginners. I think without him, I would not be in films. Dani is a very inspiring director, who always challenges me to try out new things. For each movie, he has a concept for the music in mind. We always listen to a lot of music before we start to work on the film and as opposed to other directors I even enjoy temp tracks he uses while editing, because he always picks music I haven’t heard before and that inspires me to find an own new style for myself. So each movie I did with Dani has a completely different style of film music. MT: What was your greatest challenge on Mein Führer - Die Wirklich Wahrste Wahrheit über Adolf Hitler? The musical style for Mein Führer was a mix of march music, Kurt Weill, Wagner and a kind of bizarre circus music that was sometimes mixed Into one piece. The challenge was not to create happy comedy music, but to find music that slips from comedy into tragedy and fear, without getting too serious. Just like a theremin effect, that Is an old fashion spooky effect, I used whistling and tuned it 1 octave down to get this trembling atmosphere of comic horror. I had the complete WDR Symphony Orchestra (for free) to work with, so I could use their full strength when needed. MT: The music you wrote for Liebesleben is my number one favourites. Is there a reason why you wrote almost no Arabian sounding music for the film? I composed the music for Liebesleben at the same time I did Mein Führer, which was the complete opposite of it; very few instruments, no mixture of styles. The music was always concentrated on Jara, the female lead, and the reason why we didn’t use Arabian style in the music is that we told the drama as global tragedy that could take place anywhere in the world. There is some Arabian music that we hear on the radio and the images of Israel are so powerful that there was no need to describe it more in the score. In a way, the music never steps out the body of Jara, but it's caught inside her. MT: Why is it that you have scored more German than Swiss films? It is probably the connection with Dani Levy that makes me more a German filmmaker than a Swiss one. I never decided for myself not to make Swiss movies, but there never have been al lot of offers from Swiss filmmakers. Another reason is that there are pretty low budgets for music in Switzerland and since I record everything live, it would pretty hard to break with. MT: Some of your scores have been recorded in Basel with a Swiss orchestra, while others have been recorded with German orchestras in München and Berlin. How do you decide this? It is always a question of budget and time schedules that decide where I will record with an orchestra. Now there is a new studio at an old Radio hall in my hometown of Basel and I know a lot of musicians of the Basel Symphony Orchestra and this gives me the opportunity to build up a working relationship with them on a regular basis. MT: What scores are you particularly proud of? My favorite score I did is completely unknown. It is written for a black comedy in England and is called Undertaker's Paradise (Ein Todsicheres Geschäft). It’s a mixture of sixties jazz band, orchestra, Fender Rhodes and Mellotron and so on. Unfortunately the film didn’t do that well in the movie theatres. There is no film I’m particularly proud of. Usually I’m happy when I get a reaction of people who recognize things in my music that I personally had intended. When I compose, I always have a microphone by my side. The fastest way to record a melody for a musical layout is to whistle or sing it. It often happens that the directors like the idea of whistling and singing, so this element becomes part of the score. I also think that melodies that can be sung or whistled are easier to be captured by the audience. There is a chance that they will whistle the melody, while they’re leaving the movie theatre. MT: What are you working on right now and what can we expect in nearby future? I took this summer off, after having done three films in a row and I will start working on a new comedy by Dani Levy called Das Leben ist zu lang (Life Is Too Long) in the fall.